In Vino Felicitas Wines was founded by the husband wife wine making team of Mario and Anna Monticelli. 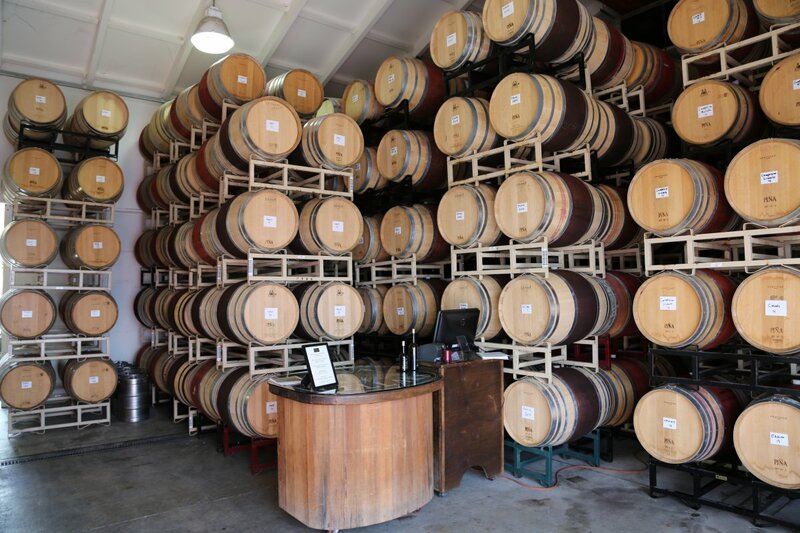 Like other winemakers these days, both have international harvest experience. They met during their last quarter of school as undergrads at UC Davis while earning their enology and viticulture degrees. 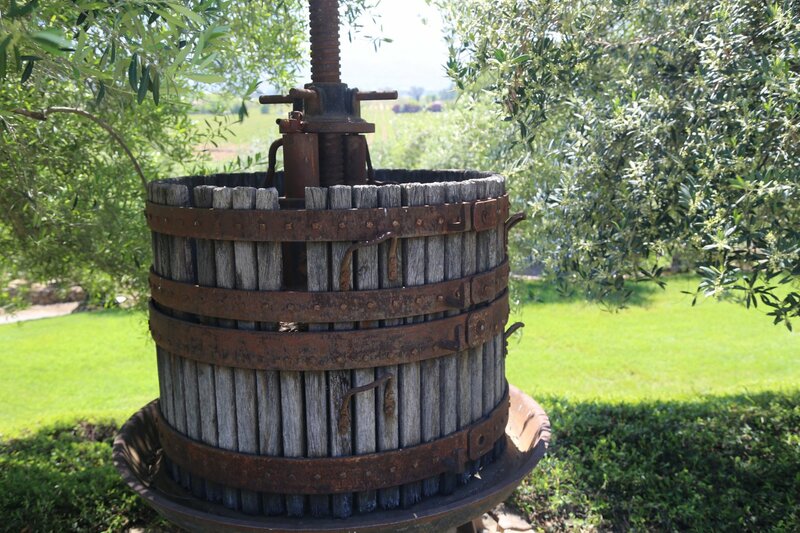 Mario is a fourth generation winemaker with extended wine making roots in California (his father was winemaker and an executive for Gallo Winery and his brother Massimo is also an accomplished winemaker in Napa). As a result of his family background Mario’s immersion into the wine industry started as a child helping to make wine at his grandparent’s winery. Mario worked as assistant to the well known winemaker Philippe Melka, at Quixote and currently is the winemaker for Trinchero Napa Valley. Anna does not come from a wine making family and was on the fast track to medical school when a viticulture elective sidetracked her college education, and looking back – eventually became career changing. She worked a harvest in Bordeaux, France at Chateau Chevel Blanc and at Napa Valley notables including Seavey Vineyard and Bryant Family. Currently she is the winemaker for Pina Cellars. Mario and his brother have operated their own label (Monticelli Brothers) for a number of years and it was only a matter of time before Mario and Anna decided to create their own brand. They jointly share the wine making duties. Their first commercial release was of a brand called Esca in 2002. During our visit with Anna, we tried the 2005 Esca Zinfandel sourced from the Dry Creek Valley in Sonoma County which was the only non Napa Valley wine the produced at the time. This ruby colored wine has big Zinfandel aromas somewhat floral in nature with notes of violets as well as cedar. The mouth feel is soft and supple with lively fruit and bright acidity. This is a not a overly spicy Zinfandel rather its more elegant with just a touch of spice on the palate. Soft delicate tannins anchor this delightful food friendly wine. The 2005 Esca Syrah is very dark with a consistent nose over time full of candied fruit and notes of cassis. It is full-bodied and soft all across the palate with structured but fairly smooth tannins. Good fruit shows from the entry to the finish. The 2005 Esca Cabernet Sauvignon is priced very well considering it was made with fruit sourced from Oakville and Yountville. Black fruit dominates on the bouquet and on the palate showing up front flavors including blueberry, blackberry and black currant intermingled with nuances of smoky oak. There is a noticeable softness to the mouth feel yet this wine retains mouth watering natural acidity… a good steak wine! The tannins are the biggest of the three Esca wines we tried but are still well balanced. Today four wines are made as part of In Vino Felicitas (Ilaria, Sergio, Stackhouse and Tether). Ilaria is named after an Italian cousin in the family. The focus of this label is on high end single vineyard wines with their first vintage being a 2007 Syrah. 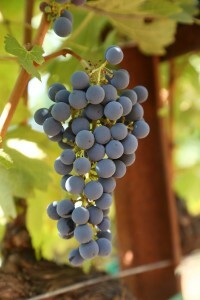 Syrah is one of Anna’s favorite varietals, not only because of its unique aromas and flavors but because of the differences it exhibits based on specific terroir and microclimates – i.e. cool weather versus warm weather Syrah. This wine was sourced from Coombsville, a rolling hill vineyard covered area just east of the town of Napa which is more on the cooler side of the curve. This small block of a larger vineyard is planted to an Alban clone. Alban are makers of fine California Central Coast Rhone based wines including Syrah. John Alban is often called the “Father of Syrah in California. This vineyard is certainly a good source! While some of the other brands under In Vino Felicitas are sourced from various vineyards, Ilaria is from vineyards that are locked into longer term contracts, thus ensuring consistency of fruit. The 2007 Ilaria Syrah is a very dark black inky wine and while totally young at the time of our review, already shows big fruit with juicy characteristics. There are great layered flavors including chocolate and plum with hints of vanilla on the bouquet. This is a wine you buy several of – for drinking now as well as aging! 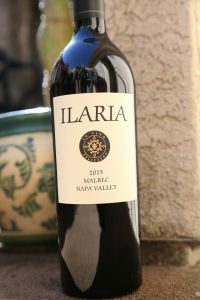 Additional plans under the Ilaria label call for other varietals including Cabernet Sauvignon. The 2015 Ilaria Malbec (84% Malbec and 16% Merlot) is the color of a dark plum skin. Smelling the wine reminds us of picking blackberries on a warm summers day as a child, the juice dripping off of our hands while reaching down to smell the freshly picked fruit in our bags. The bouquet is about the fruit (noticeably dark and brooding in nature) and not about the secondary characteristics from the oak. Also includes tangy aromas of ripe plum, is slightly floral and as it breathes, shows some notes of mocha and vanilla. Approachable and juicy across the palate – this wine is layered with dark fruit flavors including blueberry and blackberry. Its texture is appealing – supple but with a noticeable fine grip of tannins on the finish. Also lingers with a hint of mocha and darker spices. A very good value. 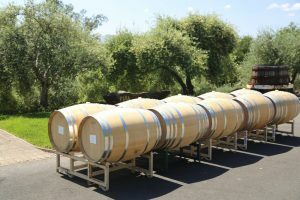 Stackhouse focuses on Cabernet Sauvignon – made in a style that is highly approachable in their youth – and are wines meant to be enjoyed with food. Tether is a project between iconic wine broker Kimberly Jones and Anna. It is always a Napa Valley red wine. And another exciting project and brand are the M.A. Monticelli wines; Anna travels to Italy once a year to work with Franco Conterno Cascina Sciulun in Barolo to hand craft this wine. The grapes for these wines are organically farmed and fermented using non inoculated yeast. This wine honors both the time tested winemaking of the Franco Conterno family as well as a nod to Anna and Mario who still have family in Italy. Like their other wines, these wines (all Nebbiolo) are sold through distributors and are available in select states domestically. NOTE: we originally met with Anna when she was producing Esca Wines; she has since transitioned into producing these four labels bottled under In Vino Felicitas.